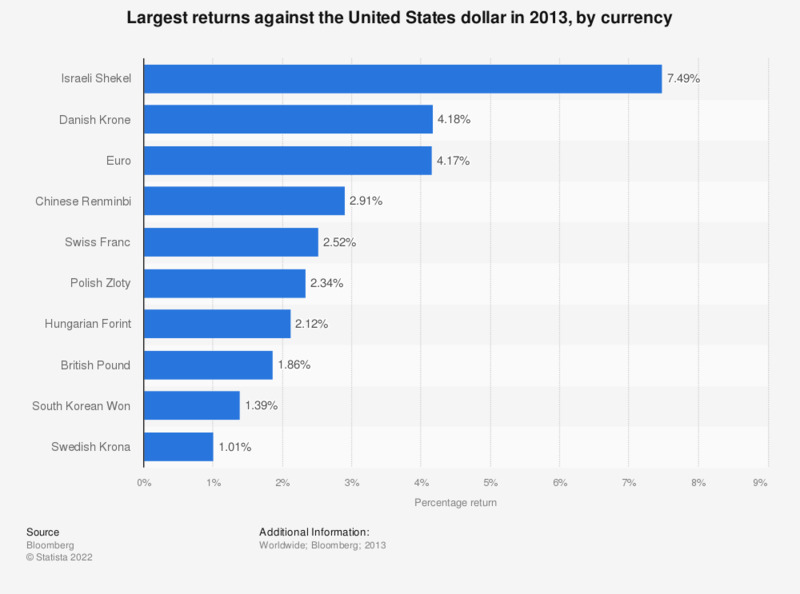 This statistic presents the ten best performing currencies against the United States dollar in 2013. It was found that the Israeli Shekel was the best performing currency against the U.S. dollar in 2013 with a spot return of 7.49 percent. Bloomberg ranked these major currencies based on their spot return in 2013 against the dollar. Statistics on "British Pound Sterling"